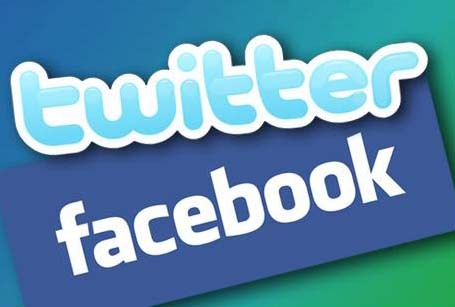 Do you know that you can update Twitter and Facebook status without Internet Connection from your mobile phone. Yes no need to use WiFi connection or internet on your smartphone to update your Facebook or twitter status. You can update your status with a SMS from your mobile. Once of the best and easy way to update your social media status without using the internet connection. The process is simple and easy to use and no need to install any third party application on your smartphone, all you have to make some changes on your Facebook and twitter settings and after that you can update your status form your mobile. So lets take a look how you can use this service on your mobile phone and use Facebook and Twitter without the Internet connection. The below mention guide is divided into two clearly distinct parts, one for the Facebook users and other one for the Twitter users. 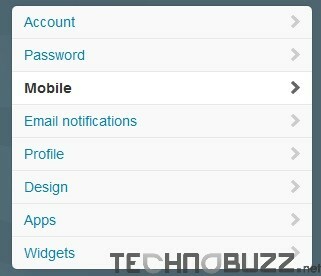 Follow the step one by one to activate the settings on your account. To tweet from your mobile, first you have to make some changes on your twitter profile settings. Login to your Twitter account with your username and password and after that go to the Settings page of your twitter profile. On the Settings pager of twitter you can see the option “Mobile” on the left side bar, click on the Mobile option. 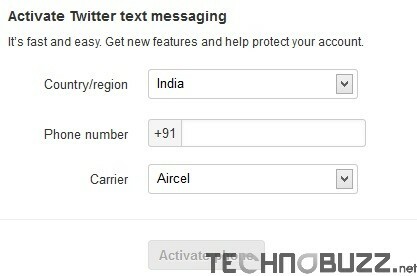 From the mobile settings page, all you have to Add your Mobile number, country name and carrier name to active the text messaging on twitter. Once the settings are saved on your Twitter account, you will received the message on your mobile that you mobile number is activated for text messaging. Now text messaging is activated on your twitter account, all you have to just write a text and send it to 40404. Now everytime when you want to updater your status just send a SMS from your registered mobile number to 40404 to update status. 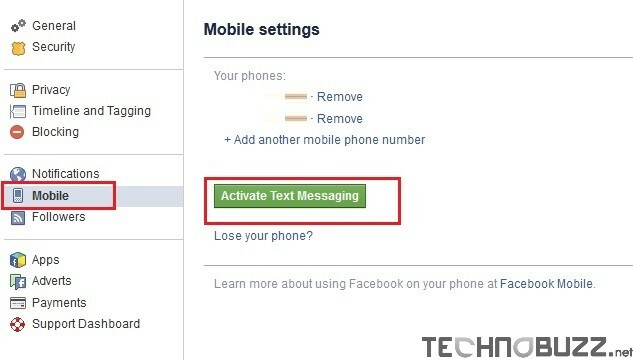 That’s it, to update your Facebook status from your mobile, you simply have to write it in a text and send it to 32665. One of the best way to update your twitter and Facebook status from your mobile phone without using internet connection. Looking for more How to tips and guide, click here.